Depression leads to more social media usage, not the other way around! Recent longitudinal research from Brock University in Canada suggests that depression leads to people spending more time on social media, rather than those who spend more time of social media being more likely to develop depression. This study contradicts many of the ‘moral panic’ type headlines which suggests a link between heavy social media use and depression. 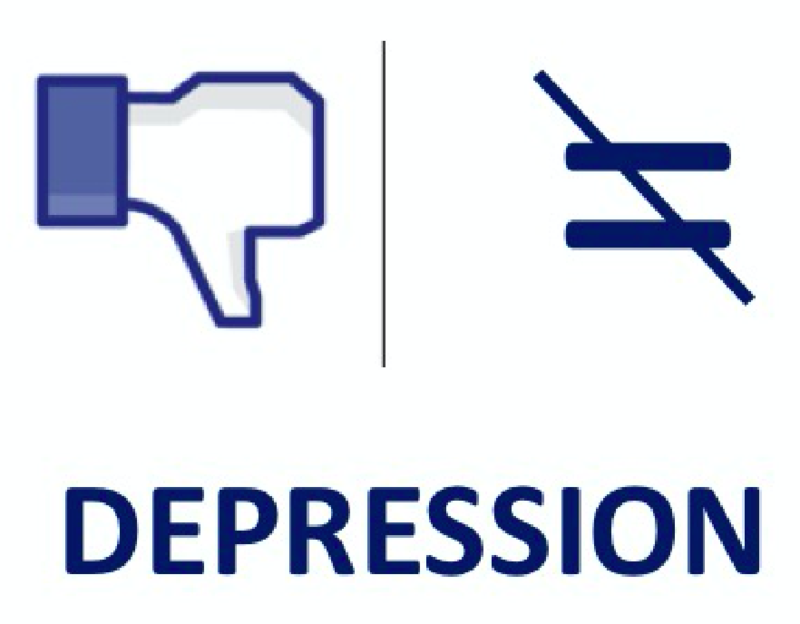 Such headlines tend to be based on studies which look at correlations between indicators of depression and indicators of social media use at the same point in time, which cannot tell us which comes first: the depression or the heavy social media use. 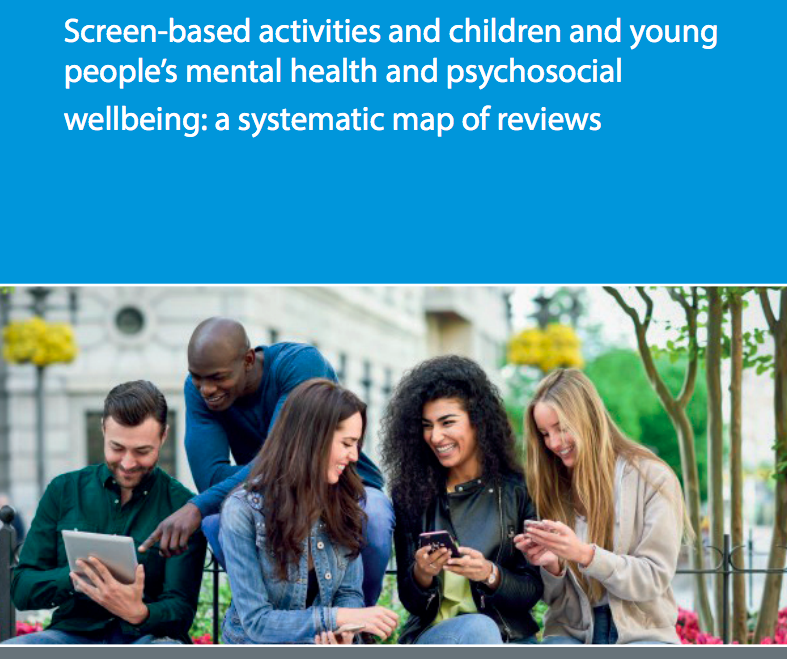 This Canadian study followed a sample of teenagers from 2015 (and university students for 6 years) and surveyed them at intervals using a set of questions designed to measure depression levels and another set designed to measure social media usage and other aspects of screen time. What they found was that teenage girls who showed signs of depression early on in the study were more likely to have higher rates of social media usage later on, leading to the theory that teenage girls who are depressed may well turn to social media to make themselves feel better. The study found no relationship between boys or adults of both sexes and depression and social media. This is an interesting research study which really goes to show the advantages of the longitudinal method (researching the same sample at intervals over time) in possibly busting a few myths about the harmful effects of social media! I just typed in ‘how many likes does it take to be satisfied’ into Google and got the responses below (second picture) – although just as interesting are the auto-complete options which cropped up. I guess we live in a virtual world where many more people are asking themselves how to get more likes, without asking themselves whether this will make them satisfied or not? I KNOW there are plenty more ways you can phrase the question, and of course the above responses may be difference because of my own search history (although whey the Ask Men link came up is beyond me), but intuitively this seems to be an obvious limit to reflexivity in an an online age – asking how to get more likes is more common than reflecting on whether this is a worthy goal in the first place. For some reasons I’m reminded of Habermas’ theory of communicative action – and those three basic types of question we can ask of each other (and ourselves) – (1) Is something effective, (2) is something true (i.e. what does it actually mean) and (3) is something good. When it comes to the economy of likes, I guess most people are stuck in that pragmatic domain. When it comes to likes – how many people stop to reflect on what a ‘like’ actually means, and whether seeking more of them is a worthwhile act in itself, and how (more?) many people have just unconsciously based part of their self-esteem on gathering likes and limit themselves to the pragmatic question of how to get more of them? Now there’s a research agenda to stick in your pipe and smoke! And of course I do appreciate the irony of the media here. This post is a brief summary of the methods and findings of the above. 90% of the world’s data has been generated in the past 2 years and the trend is apparently exponential, the key challenges of harnessing this data (known as the 5Vs: volume,veracity, velocity, variety and value) are not so easily overcome. The primary criticism of such data is that it is there to be collected and analysed before the question is asked and, because of this, the data required to answer the research question may not be available with important information such as demographic characteristics being absent. However, social media data sources are often considered to be ‘data-light’ as there is a paucity of demographic information on individual content producers. This paper builds on this work conducted at the Collaborative Online Social Media Observatory (COSMOS),through proposing methods and processes for estimating two demographic variables: age and occupation (with associated class). The researchers used a sample 32, 032 twitter profiles collected by COSMOS, relying on the entry in the ‘profile’ box to uncover occupation and class background. They took the occupation with the most number of words as the primary occupation, and, if multiple occupations are listed, they took the first occupation as the primary occupation. They then randomly selected 1,000 cases out of the 32,032 to which an occupation was assigned and three expert coders visually inspected the results of 1000 twitter profiles in anticipation of inaccuracies and errors. They found that 241 (so 24%) had been misclassified, with a high level of inter-rater reliability. The main problems of identification stemmed from the multiple meanings of many words related to occupations, Hobbies, and with obscure occupations. For example, people might refer to themselves as a ‘Doctor Who fan’ or a ‘Dancer trapped in a software engineer’s body’. So what is the class background of twitter users? The table below shows you three different data sets – the class backgrounds as automatically derived from the entire COSMOS sample of profiles, the class background of the 32 000 sample the researcher used and the class backgrounds of the 1000 that were visually verified by the three expert coders (for comments on the differences see ‘validity problems’ below). There is a clear over representation of NS-SEC 2 occupations in the data compared with the general UK population which may be explained by the confusion between occupations and hobbies and/or the use of Twitter to promote oneself or one’s work. NS-SEC 2 is where occupations such as ‘artist’, ‘singer’, ‘coach’, ‘dancer’ and ‘actor’ are located and the utility of the tool for identifying occupation for this group is further exacerbated by the fact that this is by far the most populous group for Twitter users and the largest group in the general UK population by 10% points. Alternatively, if the occupation of these individuals has been correctly classified then we can observe that they are over represented on Twitter by a factor of two when using Census data as a baseline measure. Occupations such as ‘teacher’, ‘manager’ and ‘councillor’ are not likely to be hobbies but there is an unusually high representation of creative occupations which could also be pursued as leisure interests with 4% of people in the dataset claiming to be an ‘actor’, 3.5% an ‘artist’ and 3.5% a ‘writer’. An alternative explanation is that Twitter is used by people who work in the creative industries as a promotional tool. Interestingly, the researchers rejected the idea that people would just outright lie about their occupations noting that ‘previous research [has] indicated that identity-play and the adoption of alternative personas was often short-lived, with ‘real’ users’ identities becoming dominant in prolonged interactions. The exponential uptake of the Internet,beyond this particular group of early adopters,was accompanied with a shift in the presentation of self online resulting in a reduction in online identity-play’. ‘unmodified occupation identification tool appears to be effective and accurate for NS-SEC groups in which occupational titles are unambiguous such as professions and skilled trades (NS-SEC 1,3,4 and 5). Where job titles are less clear or are synonymous with alternative activities (NS-SEC 2, 6 and7) the requirement for human validation becomes apparent as the context of the occupational term must betaken into account such as the difference between “I’m a dancer in a ballet company”and “I’m a dancer trapped in the body of a software engineer’. The researchers note that the next step is to further validate their methodology through establishing the ground-truth via ascertaining the occupation of tweeters through alternative means, such as social surveys (an on-going programme of work for the authors). In some ways the findings are not surprising – that the middle class professionals and self-employed are over-represented on twitter, but if we are honest, we don’t know by how much, because of the factors mentioned above. It seems fairly likely that many of the people self-identifying on twitter as ‘actors’ and so on don’t do this as their main job, but we just can’t access this method by twitter alone. Thus this research is a reminder that hyper reality is not more real than actual reality. In hyper-reality these people are actors, in actual reality, they are frustrated actors. This is an important distinction, and this alone could go some way to explaining why virtual worlds can be so much meaner than real-worlds. This research also serves as a refreshing reminder of how traditional ‘terrestrial’ methods such as surveys are still required to ascertain the truth of the occupations and social class backgrounds of twitter users. As it stands if we left it to algorithms we’d end up with 25% of people bring incorrectly identified, which is a huge margin of error. If we leave these questions up to twitter, then we are left with a very misleading picture of ‘who tweets’ by social class background. Having said this, it is quite possible for further rules to be developed and applied to algorithms which could increase the accuracy of automatic demographic data-mining.